Foil is a toy that lately people went crazy about! It´s a new feeling, which disconnects you from reality, and feels like flying! You wouldn´t believe it, but actually the foil in a surfboard was used for the first time by Laird Hamilton in the year 2000! He took the wing, attached it to his surfboard, and added wake boots. 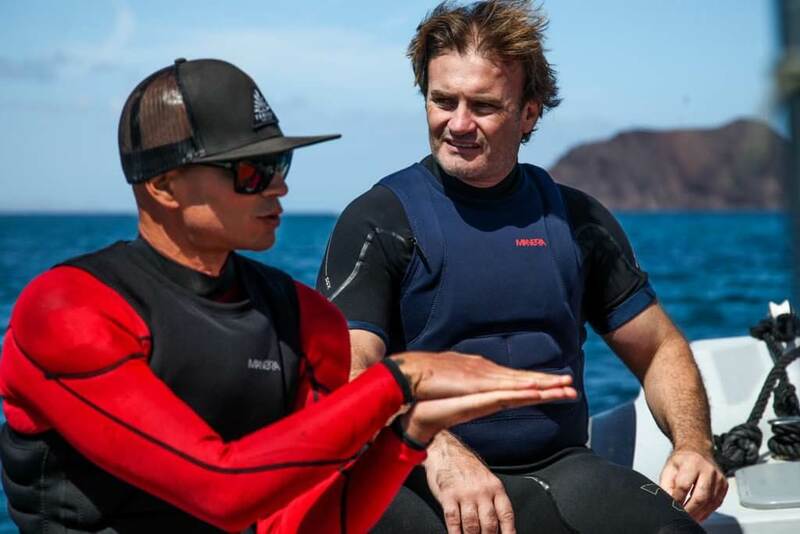 So after 17 years, foil has a big come back in kiting, windsurfing, surfing, and Stand Up Paddling! 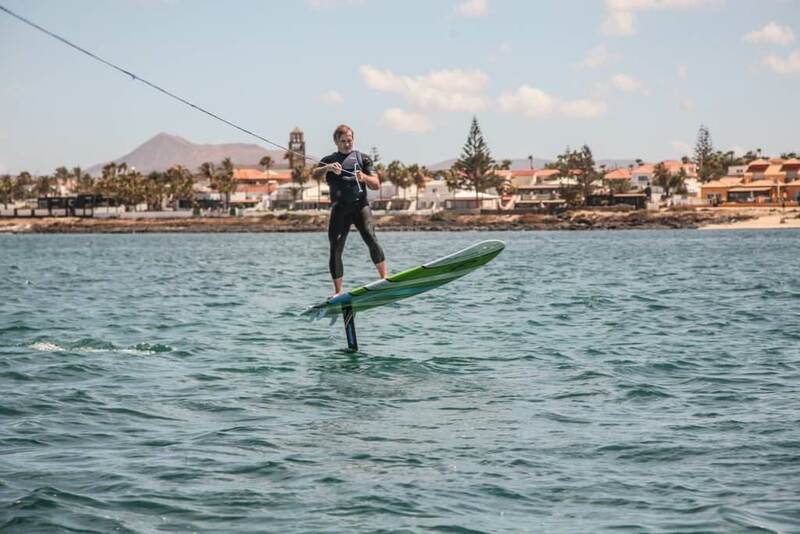 Our Line Up Pro Center Fuerteventura received the first SUPs foil models to try, so our pro Line Up riders, tested it, first behind the Line up boat. 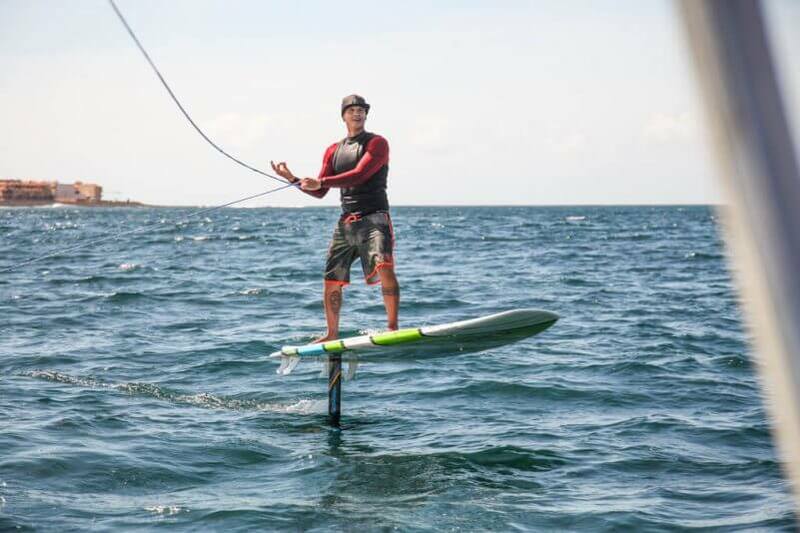 Teiva Joyeux, Manu Taub, Nicole and Stephane tested the SUP foil board as first. They enjoyed their selfs a lot, and managed to have the control on the foil board. Next step is to go on the waves. You can also try foil on kiting. Especially for days when we have not enough wind, it´s a perfect alternative, because it doesn´t need that much friction as the normal board! 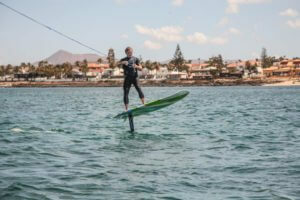 You can test the SUP foils and KITE foils at the Line Up Pro Center Fuerteventura! They are waiting here for you!